1 Tablet Contains, Amount Per Serving % D.V. Xendurance is a revolutionary athletic performance formula created by athletes for athletes. This formula has a Published, Gold-Standard, third party, double-blind, placebo-controlled, crossover study. Calcium Carbonate, Papain, Magnesium Hydroxide, Catechins, Bioperine, Potassium,Selenium, Chromium, Magnesium Oxide. Xendurance Tablets is rated 5.0 out of 5 by 4. Rated 5 out of 5 by Cborcal from Very good supplement Great product and reliable, training hard xendurance. Rated 5 out of 5 by ironrosey from Faster recovery, reduced muscle soreness I've been using XENDURANCE for over a year and it's my only supplement, I train for ironman races and have many sessions through the week, I find I recover faster and have much less soreness after each session which means I can train harder more consistently. I also have periods where I don't use it but definitely feel the difference when the season starts again. Normally takes me a week of taking it for the product to kick in, sort of like a loading phase but it's a 'go to' tablet twice a day and have recommended to loads of friends. Rated 5 out of 5 by Luke from recovery from hard sessions now an ease! after about a week of taking XE i noticed i was running faster for less effort and recovering faster from interval sessions. Product works a dream! 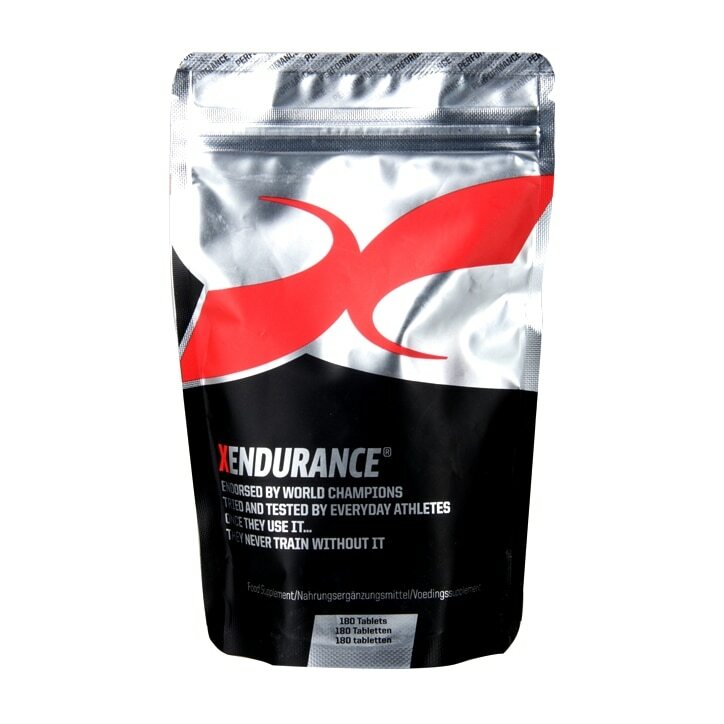 Rated 5 out of 5 by Fegan from Long term benefits and reduced muscle soreness I've been using Xendurance for a number of years whilst competing at long distance triathlon. XE has helped me back up session after session by reducing muscle soreness and speeding up recovery. This means less rest days and more hard sessions. If I take a break from XE I'm instantly reminded every time I try and walk down the stairs after an interval or hill session. 10 days back on then its down to business backing up session after session. Top product especially when working the muscles hard.